How much fun would your tot have splashing around with Mickey Mouse and Friends?! Disney does a fantastic job with developing endearing characters that kids and, lets be honest, adults can get emotionally attached to. 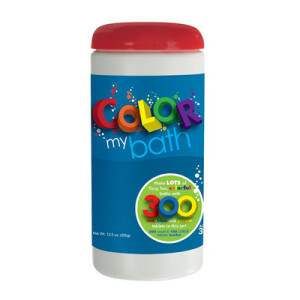 Whether your child loves Pooh Bear or Nemo or Mickey Mouse, seeing their favorite Disney characters in the bathtub is bound to turn bath time into a joyous part of the daily routine. 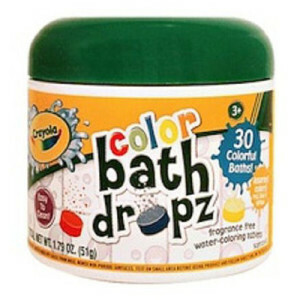 There’s an array of Disney bath toys for tots of all ages, too, so your child can stay occupied in the tub for years to come. We’ve filtered through the options available on Amazon to bring you the highest-rated (and the cutest!) 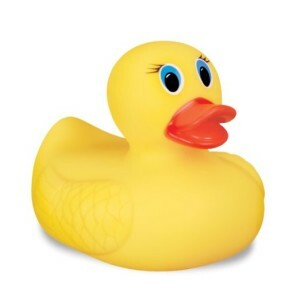 Disney bath toys on the market, and we’ve listed them in the table below. Later we’ll go into more detail about the top user favorites. 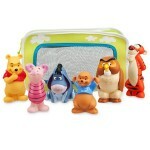 Hopefully the comparison chart above has given you a few ideas about which Disney bath toys are right for your baby. Read on and we will explore some of the top options in even more detail below. 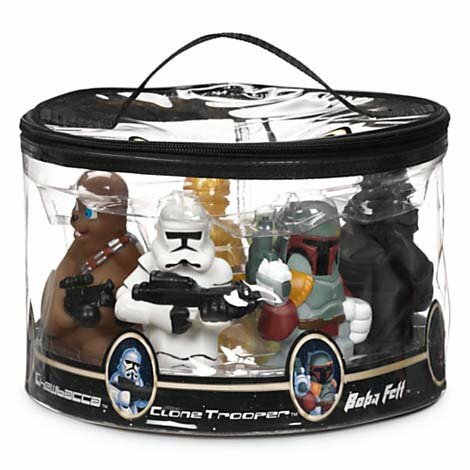 Have fun, your child will, with this awesome Star Wars Bath Toy Set! With this set, your child can zoom around the galaxy with Jedi Master Yoda, C-3PO, R2-D2, Chewbacca the Wookie, a Storm Trooper, Boba Fett, and Darth Vader. Recommended for the creative age range of 2 to 4 year olds, it’s no surprise that one frequently mentioned positive about this set in the Amazon customer reviews is its capacity to inspire the imaginations of little ones. 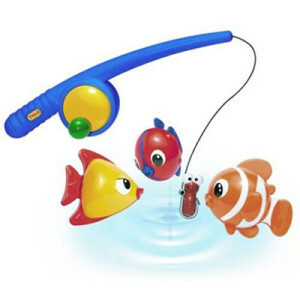 Multiple parents even report that kids want to play with these toys both in and out of the tub daily. On top of the toys’ appeal to children, this set serves as a way for parents to share a beloved, iconic film favorite with their kids. Can you imagine yourself playing out Star Wars scenes with your baby? What a memorable, hilarious, and fun experience! For more Star Wars bath toys, check out our comparison page dedicated to the subject. 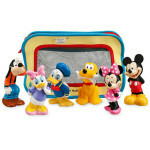 Mickey Mouse and Friends are a classic kid favorite and a great bath time addition! It would be very hard to go astray with this bath toy set; Mickey Mouse and his buddies are sure to delight young Mickey Mouse Clubhouse fans. 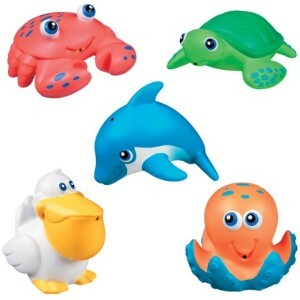 The figures are BPA free and range from 3″ to 5″ in size. 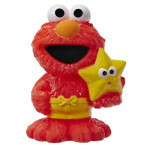 They are made of a soft, squeezable rubber, making them a great fit for toddlers’ developing hands. 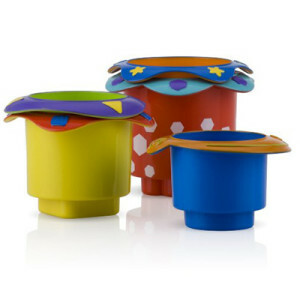 Kids love the bright colors and texture of these toys. Parents report that the little ones also let their imaginations go to work when splashing around with Mickey, making for a lot of fun play time in the tub. 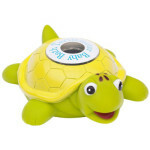 In addition to kids loving these toys, parents have commented that the set comes in a high-quality, quick-drying bag with suction cups that make cleaning up a snap. 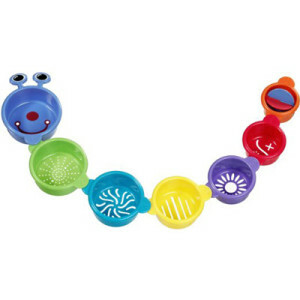 The primary complaint from parents is that teething children wear these guys out fast, so if your little one is in that chewing phase this set may not be right for you. 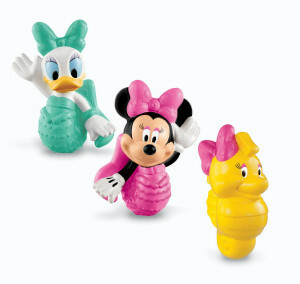 How adorable are these Minnie and Friends Bath Squirters? Minnie and Daisy are perfect aquatic creatures in this toy set — mermaids! And they also bring an adorable seahorse friend to boot. 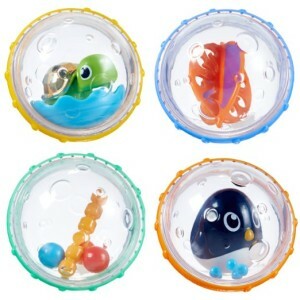 Tots have a ball swimming around with these cute characters in the tub, and take advantage of even more fun by squeezing and squirting water out of them. Boys and girls alike seem to really enjoy this set. 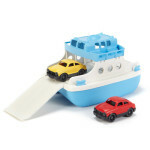 Parents note that these toys are durable, well-made, and are easy for toddlers to handle. They are also reported to make great stocking stuffers! In addition to the other positives this set is an inexpensive buy, so you get a lot of excitement from your baby for a bargain price. 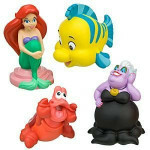 If your child loves mermaids, you may love our Fun Under The Sea comparison page about the best Little Mermaid bath toys.